Tacos El Gordo, which first opened in Tijuana in 1972, will add a downtown San Diego location to their growing portfolio. The popular taco shop chain has taken over the Gaslamp space formerly occupied by Starbuck's at 511 F Street and the family-owned eatery should be open by mid-2017. 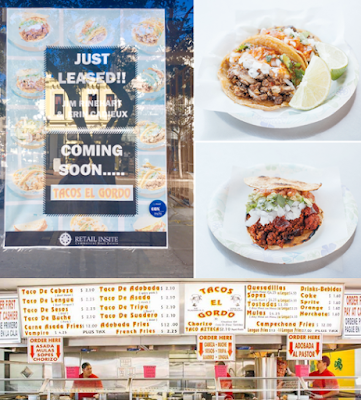 Tacos El Gordo currently has three locations in Tijuana, three in Las Vegas and two in San Diego (Chula Vista & Otay Mesa). The fast-casual taco shop specializes in authentic Tijuana street tacos constructed with handmade corn tortillas, top grade meats and guacamole and salsas made from scratch daily. Tacos El Gordo has been named as one of Yelp's Top 100 Places To Eat in the United States every years since the list began - 2016 (#17), 2015 (#29), and 2014 (#15). 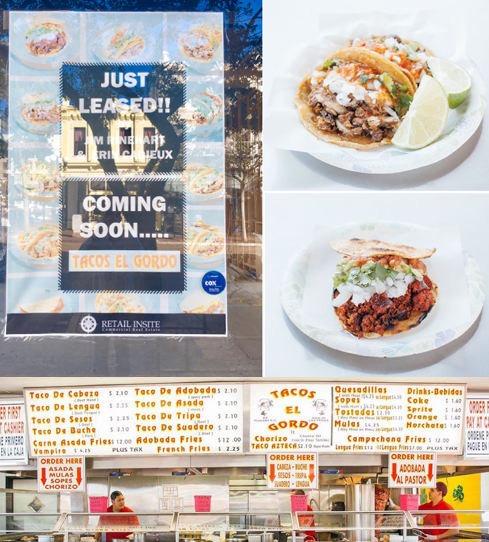 For more information, visit tacoselgordobc.com.